Dosette compatibles SenseoThere are 10 products. Compatible trays Senseo ® Intenso of the brand Caffé Bonini. 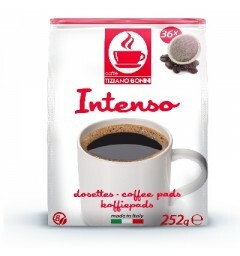 This Intenso pod for Senseo ® coffee maker consists of a mixture of robusta and arabica giving a strong result, this pod is for lovers of Italian coffee. 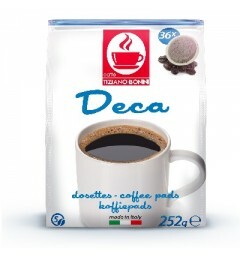 Senseo ® Compatible Dosettes of the brand Caffè Bonini. 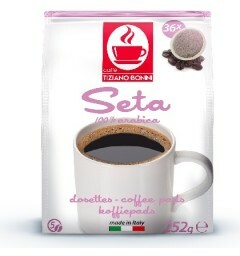 This seta for Senseo is a 100% arabica blend that combines sweetness and sweetness, you will find flavors of cocoa and almond. Senseo ® compliant decosette of the brand Caffè Bonini. This decaffeinated pod for Senseo ® is a balanced mixture between flavor and lightness. Espresso is a Senseo ® compatible pod from the Cafés Méo brand. This 80% arabica and 20% robusta pod is Italian roasted, that is to say the roasting is more advanced and slower. This Senseo ® compatible pill will delight fans of espresso ristretto, a creamy cream accompanies a very aromatic coffee. 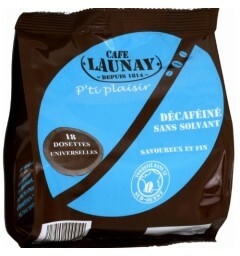 Senseo ® compatible Deca decals of the Café Launay brand. 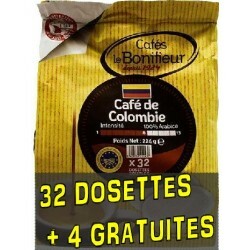 This 100% arabica coffee pod is caffeine free. This coffee is decaffeinated without the use of solvent, so it remains 100% natural. Thanks to a gentle roasting, its taste is balanced and aromatic. Gourmet is a Senseo® compatible pod from the Cafés Méo brand. Its 100% arabica recipe, originating from Asia and South America, has been handed down from generation to generation since 1928. This coffee is rather sweet, very sweet, long in the mouth with slight notes of caramel. 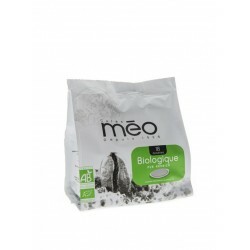 Biologique is a Senseo ® compatible pod from the Cafés Méo brand. This pure arabica pod comes from the best plantations in Latin America and Africa certified organic farming. Organic is a natural, certified and controlled pod, its authentic coffee is fruity and tart.